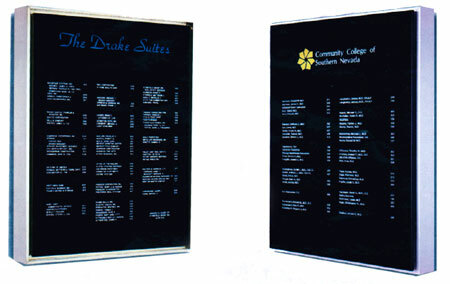 The Black-Out™ Directory System offers a spectacular visual effect. The unique floating graphic effect is achieved through a union of rear illumination, a patented namestrip holder and Greylite glazing. Manufactured to meet a wide variety of applications and finishes, the BlackOut™ will enhance any environment.